Buy Tabletop Games Blog a Coffee. ko-fi.com/tabletopgamesblog - Ko-fi ❤️ Where creators get paid by fans, with a 'Buy Me a Coffee' button. If you like all things tabletop games, then why not buy me a coffee. The caffeine will keep me writing more blog articles. I'll post a photo of the coffee on Twitter as proof. Secured Payments. Support goes to Tabletop Games Blog's account. 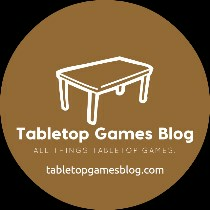 Upgrade Tabletop Games Blog to a yearly Gold Membership with a one-time payment.